The project specialist / manager will play a key role when we are implementing Nuuka for both Swedish and international customers. 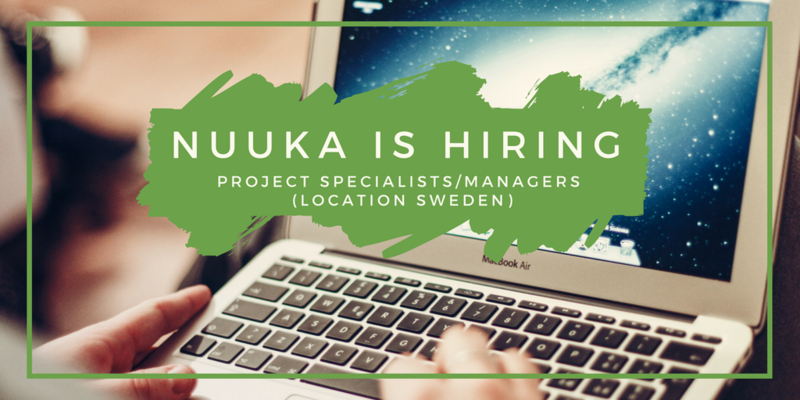 We are looking for active and enthusiastic project specialist/managers who can help us deliver Nuuka´s technology to our customers. You should have some experience in building management, and/or HVAC processes and you know the basic principles in building automation, energy metering, indoor air quality measurements and other building related technologies. It would be a great advantage if you have any experience in BI-tools, Microsoft Azure and machine learning. You have a degree in building automation, building technology or related fields. You are fluent in English and Swedish. Your most important quality is the willingness to learn new technologies and your enthusiasm to deliver results. Customer success is our key value and drives everything we do. Nuuka is looking to recruit several new key people to further improve Nuuka´s customers success and accelerate Nuuka´s growth in the rapidly developing smart building marketplace. Please send your application with your resume and salary requests as soon as possible, but no later than May 31th 2018 by email to: susanne.hedblom@nuukasolutions.fi. Nuuka aims to fulfil these open positions during the summer 2018. All enquiries preferably by phone to Susanne Hedblom (+46 76 17 64 604) during normal business days and preferably between 13:00 and 15:00. Nuuka is a rapidly growing, building big data analytics and management company. We make buildings smart! With our leading SaaS-based software solutions and expertise we help building owners and user to better manage their buildings, improve their energy efficiency and indoor air conditions and get more value out of their existing (IoT) solutions. We bring new technology to the real estate market and work with the global leaders in making their buildings more sustainable and optimized. We would love to have new talent joining our growing team both in Finland and elsewhere! Please check out our website at: www.nuukasolutions.com for more information. « Welcome to the Nuuka team Niina!